Lok Sabha elections 2019 HIGHLIGHTS: BJP declared Jaya Prada would contest election from Rampur. 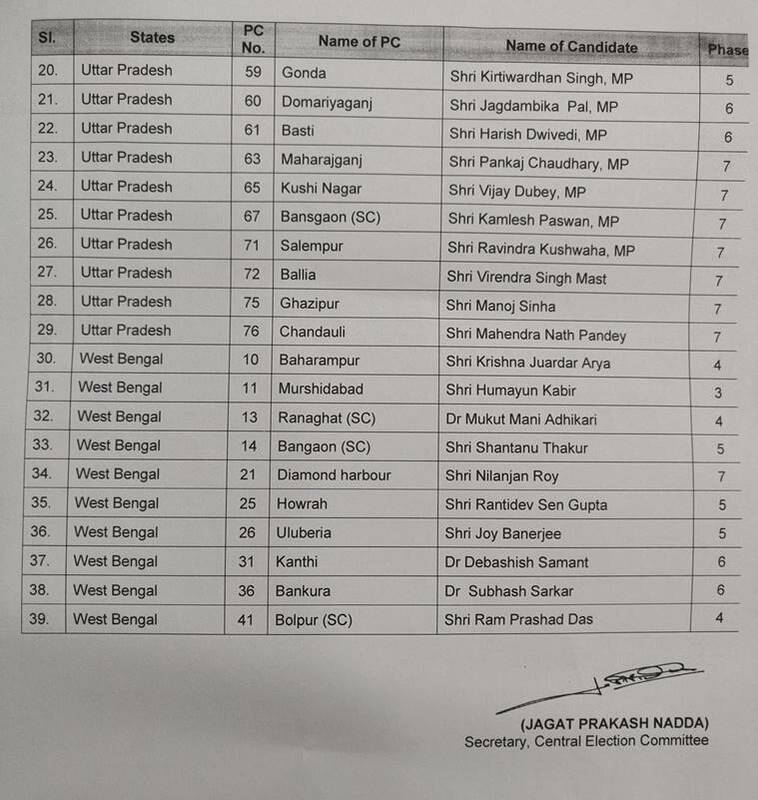 BJP releases a list of 29 candidates for Uttar Pradesh & 10 candidates for West Bengal. 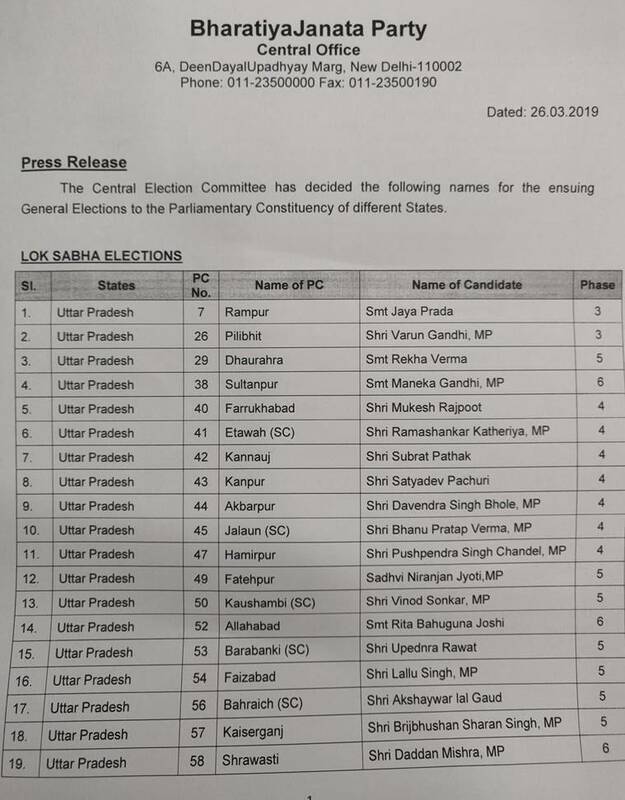 Lok Sabha elections 2019 HIGHLIGHTS: Releasing a list of 29 candidates for Uttar Pradesh and West Bengal, BJP Tuesday declared that former Samajwadi Party MP Jaya Prada would contest upcoming Lok Sabha elections 2019 from Rampur and swapped constituencies of Union Minister Maneka Gandhi who will be contesting from Sultanpur and her son Varun Gandhi who will now be fighting from Pilibhit. 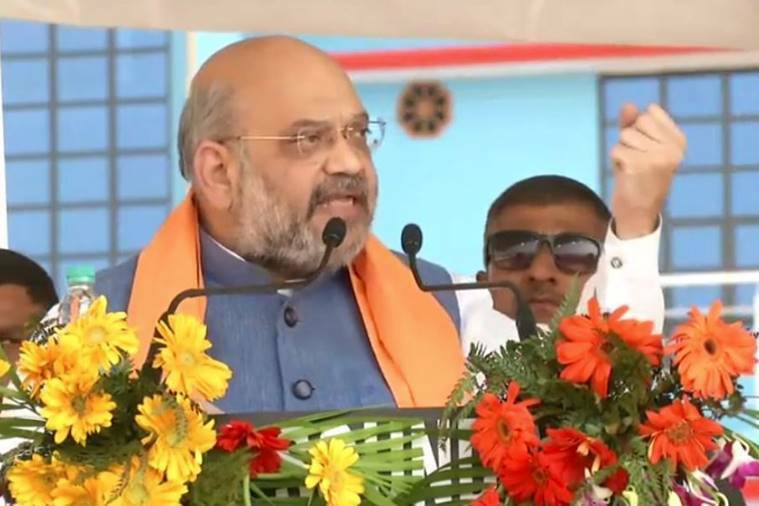 In Uttar Pradesh, BJP President Amit Shah addressed a ‘Vijay Sankalp rally’ in Moradabad district and hit out at rival parties over their comments on the Balakot airstrike and urged them to not insult the Indian Armed Forces. As the day progresses, we’ll bring you the latest election news from across the country, and some analysis of the events. Elections for the 17th Lok Sabha will be held in seven phases, between April 11 and May 19. The results will be declared on May 23. Rahul Gandhi is talking of giving Rs 72000 per annum to poor. PM Narendra Modi has already given Rs 5 lakh per year to poor families for health through Ayushman Bharat Yojana, said Uttar Pradesh Chief Minister Yogi Adityanath. Home Minister Rajnath Singh hit out at Rahul Gandhi's jibe 'chowkidar chor hai' against Narendra Modi saying, the prime minister was "pure and the only cure" for all problems of the country. "Chowkidar is not a thief, but pure. He is the only cure for all problems of country. He will become prime minister again for sure," Rajnath said while addressing an election rally in northeast Delhi's Yamuna Vihar. "Now the Congress is asking how many (terrorists) were killed in Pakistan. The brave armed forces don't count bodies. This is for the others to do," he said. "During the UPA government's tenure, the Indian Army would hoist a white flag whenever the Pakistani forces violated the cease fire at the border. During my tenure as home minister, I gave orders that if Pakistan fires one bullet, then you fire as much as you can," he said. "I'm feeling happy, I'm thankful to Amit Shah ji and Modi ji for having the confidence in me & giving me this seat. Rampur has always given me love and affection, the people love me with all their hearts, It feels like I'm going back home," Jaya Prada said after BJP released its list of 29 candidates. "Rahul often raises Rafael issue & says there's Rs30000 crore corruption. Ambani has been given contract worth Rs800 crore only. Where is the question of corruption of Rs30000? 199 others have been given similar work but Rahul targets Ambani because he's Gujarati," Rupala said. Rahul will never raise the question about 199 others whom the company has given contracts. When one prepares the list of 20 top industrialists, would Ambani not figure in it? Wouldn't he figure in top 10? And Ambani didn't establish his empire in Modi era. Ambani developed his business empire during Congress regimes, Rupala said. Rahul Gandhi addresses the Booth Workers Meeting in Jaipur and reiterated the minimum income scheme which would credit people's bank account with Rs. 12,000 per month, resulting to Rs. 72,000 yearly. The scheme is implemented for the 20 per cent of people who are living in poverty, Gandhi said. "There's no truth in his (Modi) speeches because in the end, the truth prevails. Modi said his party would provide people with 15 lakhs in their bank accounts. In order to implement their idea, we worked on it for 6 months," Gandhi said. "Today, the slogan of 'Acche Din Aayenge' has changed to 'Chowkidar Chor Hai'. All we had to do was place the truth on Rafale deal in front of the people of India," said Gandhi. 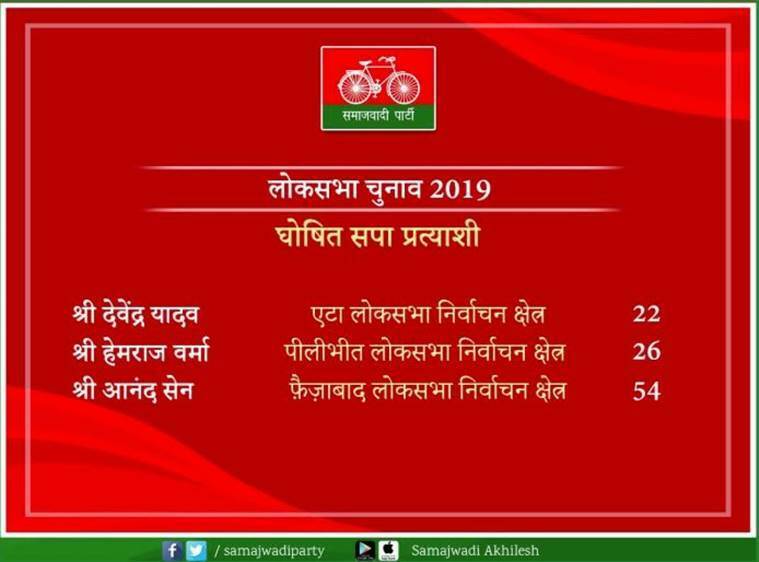 The Samajwadi Party (SP) releases another list of candidates, which includes Devendra Yadav contesting from Etah, Hemraj Verma from Pilibhit and Anand Sen from Faizabad. BJP declared that actor Jaya Prada would contest election from Rampur. Earlier in the day, former Samajwadi Party MP Prada joined the Bharatiya Janata Party in the presence of party general secretary Bhupender Yadav. BJP releases a list of 29 candidates for Uttar Pradesh & 10 candidates for West Bengal. 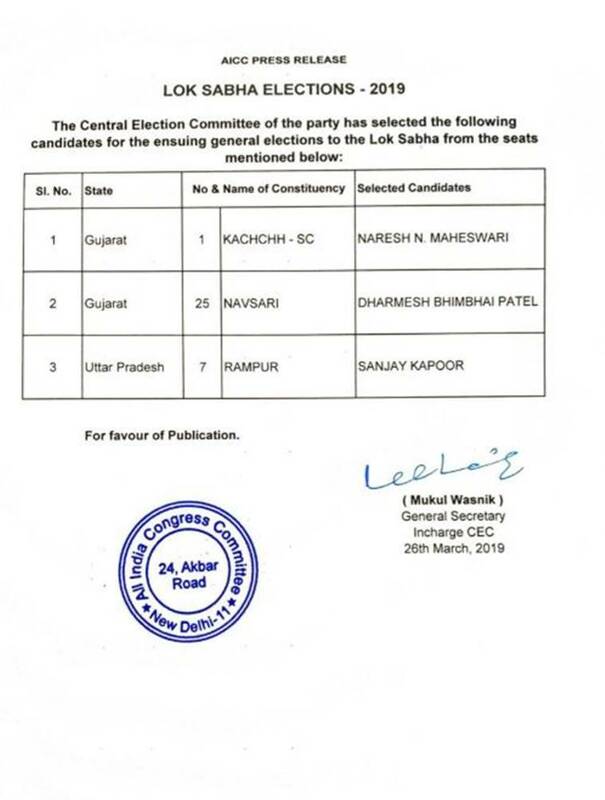 Further, Union Minister Maneka Gandhi who was a sitting MP in Pilibhit will now be contesting from Sultanpur, while her son Varun Gandhi will be fighting from Pilibhit. Maneka Gandhi contested all Lok Sabha elections from Pilibhit since 1989, except in 2009, and lost only in 1991. Varun Gandhi debuted and won the Lok Sabha election from Pilibhit in 2009, when Maneka chose the neighbouring Aanola seat in Bareilly. In 2014, she returned to Pilibhit and won the elections. 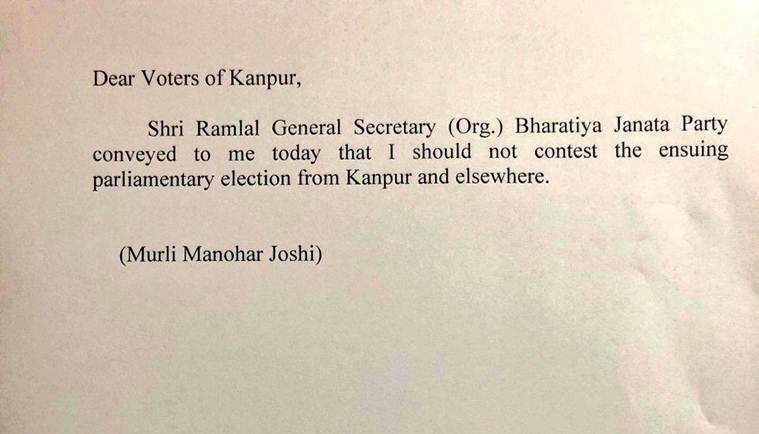 BJP UP chief Mahendra Nath Pandey to contest from Chandoli, Union Minister Manoj Sinha from Ghazipur. Ram Shankar Katheria to contest from Etawah. Rita Bahuguna Joshi to contest from Allahabad. Humayun Kabir to contest from Murshidabad (West Bengal). Actor Joy Banerjee from Ulberia (West Bengal). Modi is scheduled to address his party's campaign and rallies in Meerut in Uttar Pradesh, Rudrapur in Uttarakhand and Jammu in Jammu and Kashmir on March 28 and public meetings in Andhra Pradesh, Odisha and Telangana on March 29. 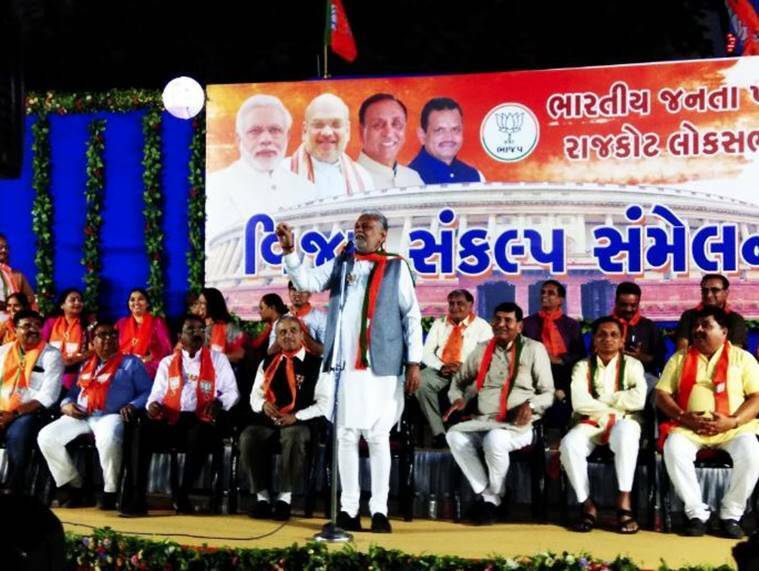 All the constituencies where Modi will speak are going to polls in the first phase on April 11. While, Congress national leader Sonia Gandhi, Rahul Gandhi and Priyanka Gandhi will canvass for the party in Chhattisgarh, which goes to polls in three phases between Aprill 11 and 23. "Unless you do not give money to the poor, there will be no development in India. PM Modi did not understand this process," said Congress President Rahul Gandhi while addressing the JanSankalpRally in Bundi, Rajasthan. Hitting out at various issues like demonetisation, Gabbar Singh Tax (GST), "Instead of doing their business, people filling up GST forms," Gandhi said. He further reiterated his party's promise to introduce Minimum Income Scheme once voted to power. In bank accounts' of the 20 per cent of the nation's most poor population, Gandhi vouched to provide Rs. 72,000 per year. Gandhi said the scheme will first exclusively be launched for women across the nation. "We have won several wars against Pakistan, no Prime Minister before took credit for it. Instead, every PM lauded the Armed forces, however, Modi said that he was responsible for it," Gandhi said. Hitting out at rival parties, BJP President Amit Shah today requested political parties to stop insulting Indian Armed Forces. Further Shah hit out at Sambit Patra's comment on Balakot airstrike saying if our enemies attack us, we will retaliate at a greater measure. "Terrorists learnt their lesson courtesy BJP government," said Shah while addressing a rally in Moradabad, Uttar Pradesh. The Bombay High Court today pulled up the Election Commission of India (ECI) for failing to introduce directions regulating political advertisements on social media 48 hours prior polling day. "Why have so many adjournments been taken for something which is an important issue? Why are you (ECI) apprehensive to pass an order," a bench of Chief Justice Naresh Patil and Justice N M Jamdar asked the ECI. The bench is hearing a Public Interest Litigation (PIL) filed by lawyer Sagar Suryavanshi seeking directions to the ECI to regulate fake news in the form of paid political ads on social media. BJP releases the list of 42 campaigners from Bihar for phase 1 and 2 of the polls. 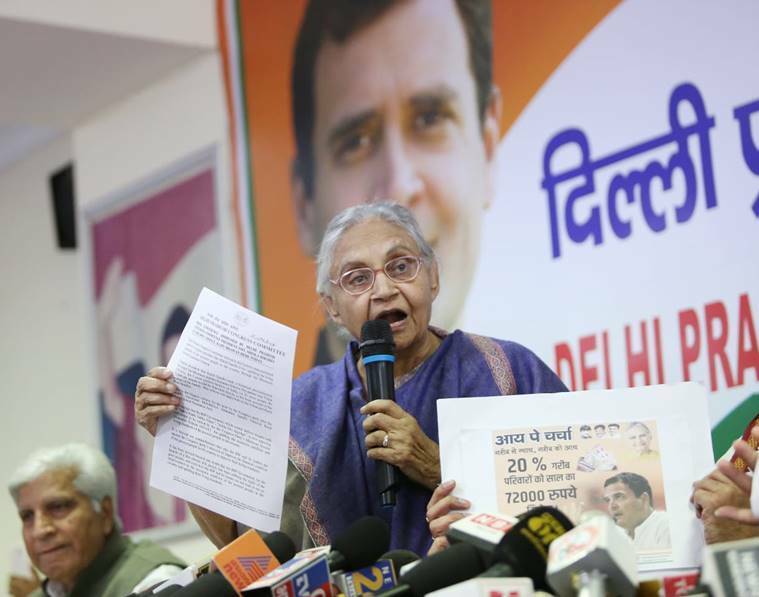 Senior Congress leader Sheila Dikshit said people who do not have a source of income will receive Rs 6,00 per month in their bank account through the minimum income scheme which was introduced by Congress chief Rahul Gandhi. BJP's sitting MLA from Palghar Lok Sabha seat Rajendra Gavit joined Shiv Sena today, said party chief Uddhav Thackeray. Gavit will be Shiv Sena's candidate from Palghar, Maharashtra. Puducherry Chief Minister V Narayanasamy hailed the minimum income scheme for the poor as 'historic'. In several rallies, Rahul Gandhi has promised people to implement the scheme once Congress is voted to power. He defined the scheme as the final assault on poverty and said it ensured Rs 72,000 annually to 20 per cent of the poorest families in the country. "It is an unparallelled and unprecedented measure announced by Gandhi and would eradicate poverty," said the chief minister. As the new academic session is set to begin, schools in Delhi and NCR are planning to conduct electoral literacy campaigns to help students become electoral "ambassadors" and encourage people to vote. The campaign is scheduled to begin next month. The focus of the campaign will be to give insight to students of the importance of the vote, to train them in the electoral process and encourage them to ensure the adults around them exercise their franchise. "We have planned a series of activities to make students understand the value of their vote and the need to exercise their suffrage in a confident, comfortable and ethical manner so that when they pass out from school and enrol themselves as first time voters they are enlightened enough about the process," PTI quoted Seema Trikha, Principal, Vasant Global School in Noida as saying. Rahul Gandhi promises 'surgical strike' on poverty, says Congress working on how to eradicate poverty for six months. He alleged that Narendra Modi, Arun Jaitley and Amit Shah robbed the poor. "Modi gave money to rich, Congress will give money to poor," said Rahul Gandhi in Suratgarh. rally. Former BJP leader Ghanshyam Tiwari will join the Congress in Jaipur on Tuesday. Tiwari told PTI that he will join the Congress in the presence of party president Rahul Gandhi, who is scheduled to meet party workers in Jaipur's Ramlila Maidan on Tuesday evening. "I struggled in the BJP but now I feel that it is important to join Congress for the protection of democratic values," Tiwari said. Speaking on the unemployement issue for the rural sector, Rahul Gandhi said, " the UPA launched schemes over 10 years but Modi ended them all, he failed to understand MGNREGA." In an indicator of rural distress, the last year of the NDA government shows a marked increase in the demand for jobs under the Mahatma Gandhi National Rural Employment Guarantee Act (MGNREGA). Official data show that in 2018-19, the demand for work increased by almost 10 per cent compared to the previous year and also registered the highest number of person-days of work under the scheme since 2010-11. Hitting out at Prime minister Modi's Chowkidar play, Rahul Gandhi said," He (PM) says, 'Main Chowkidaar Hoon'. He didn't say whose chowkidaar he is? Have you seen a chowkidaar at a farmer's home? Have you seen a chowkidaar at home of unemployed youth? Have you seen a chowkidaar at the home of Anil Ambani?" "How many are there at Anil Ambani's home? There is a queue of chowkidaar there. Narendra Modi did not tell you that he is not yours but chowkidaar of people like Anil Ambani and Nirav Modi," he added. BJP tried to eradicate the poor, we will ensure the eradication of poverty and will provide Rs 72,000 per year to every poor who falls under the minimum guaranteed income line, says Congress Chief. BJP govt asks where will the money come from? "I won't give crores to the rich but I will definitely help the poor reach the money like we waived off-farm loan in Madhya Pradesh and Rajasthan," he added. 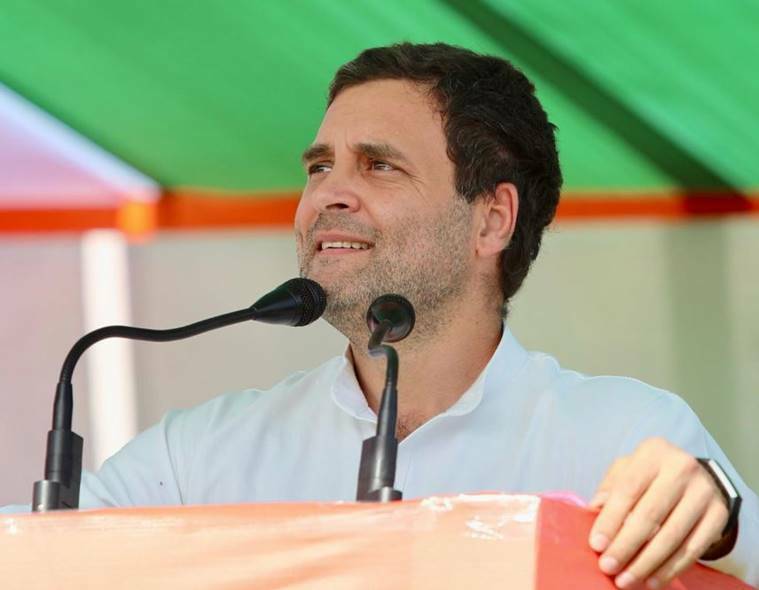 Addressing a rally in Rajasthan's Suratgarh, Congress chief Rahul Gandhi assured that " Gabbar Singh Taz (GST)" will be one tax and ordinary tax. 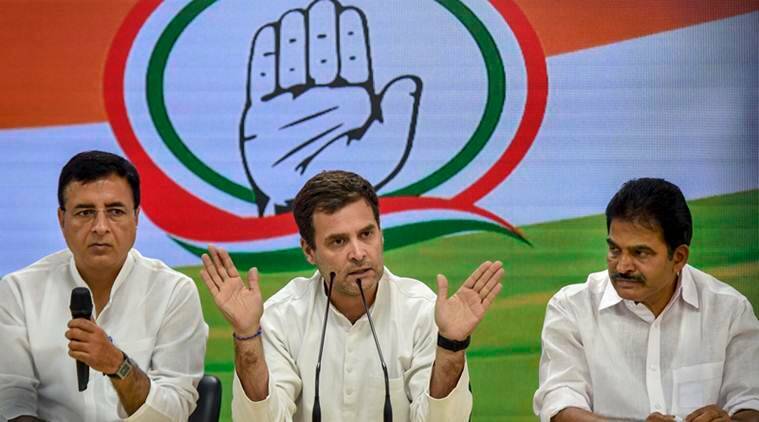 Lashing out at PM Modi-led-BJP government, Rahul Gandhi said, in 5-years if BJP has given money to the rich, Congress will give money to the poor and implement minimum guaranteed income. DMK candidate Dhayanidhi Maran, the grand nephew of late M Karunanidhi, has filed his nomination papers from Chennai Central Lok Sabha constituency. 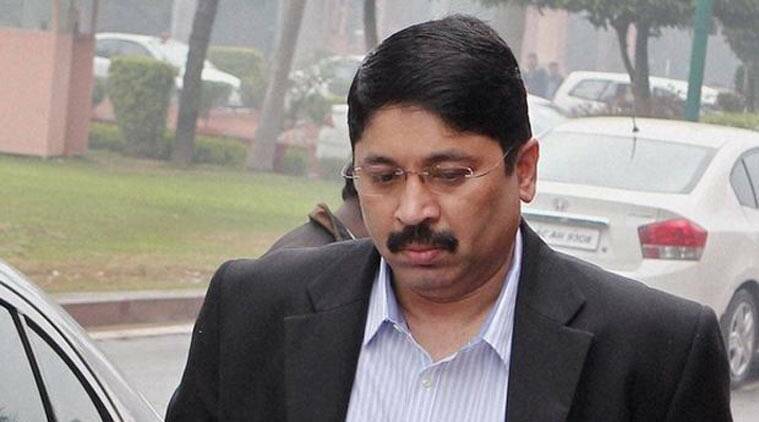 Maran, former union telecom minister, is accused in the BSNL telephone exchange scam. He will contest the 2019 Lok Sabha elections against Sam Pal (PMK) and Kameela Nasser (Makkal Needhi Maiam). Samajwadi Party chief Akhilesh Yadav: Nishad Party and Janvadi Party (Socialist) are now a part of Samajwadi Party-Bahujan Samaj Party-Rashtriya Lok Dal alliance in Uttar Pradesh. Delhi Chief Minister Arvind Kejriwal also reacted to BJP's decision on Murli Manohar Joshi. Kejriwal tweeted: "The way Modi ji has insulted his elders —Advani ji and Murli Manohar Joshi ji — is completely against the Hindu traditions. Hinduism teaches us to respect our elders." "The elders who built the home were thrown out. One who can't be loyal to his elders, who will he be loyal to? Is this the Indian tradition? Hinduism doesn't ask us to insult our elders. People of the country are discussing why Modi ji is insulting (LK) Advni, (Murli Manohar) Joshi and Sushma (Swaraj)," he tweeted. Union Minister Nitin Gadkari has declared movable and immovable assets worth Rs 25.12 crore in an affidavit filed along with his nomination papers for the Nagpur parliamentary constituency. Gadkari filed his papers for the Nagpur Lok Sabha seat on Monday. Polling in the constituency will be held on April 11. As per his tax return forms, his total income stood at Rs 2,66,390 in 2013-14 and Rs 6,40,700 in 2017-18. According to his affidavit, he has movable assets worth Rs 69,38,691, while his wife has movable assets worth Rs 91,99,160. A sum of Rs 66,07,924 is in the name of the Hindu Undivided Family (HUF). Similarly, Gadkari has immovable assets worth Rs 6,95,98,325, his wife Rs 6,48,60,325. A sum of Rs 9,40,31,224 was in the name of HUF. 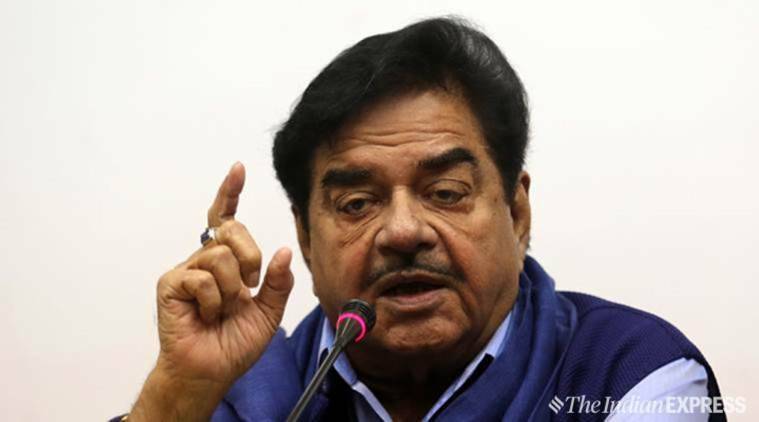 Gadkari declared over 29 acres of agricultural land in Dhapewada in Nagpur, of which 15 acres are registered in the name of his wife and 14.60 acres owned by HUF. Gadkari declared an ancestral house at Mahal (Nagpur) and a flat at an MLA Society in Worli (Mumbai). The Union minister, in his affidavit, has informed that he has invested Rs 3,55,510 in savings scheme, mutual funds, bonds and shares. He has Rs 8,99,111 in his banks account, according to the affidavit. Similarly, his wife's bank balance stood at Rs 11,07,909. Attacking PM Modi, Surjewala further said, "In his very first speech in parliament, after becoming Prime Minister, Narendra Modi opposed MNREGA, a scheme that eradicated poverty. NSSO data reveals that since Modi became PM, 4 crore jobs are lost in the country. Mr. Modi's GST destroyed small businesses in the country. Modi government is anti-poor." Surjewala also said, "Hypocrite Modi can forgive Rs 3,50,000Cr of handful of businessmen but giving Rs 72,000 for India's poor is troublesome for him. Why is BJP opposing this scheme? When Mr. Modi can spend Rs 5,000Cr for his publicity and advertisements, why is he opposing Rs 72,000 for a poor family?" During a press conference Tuesday, Congress leader Randeep Surjewala said, "20% poor families will receive ₹72,000 every year. This scheme is women-centric, the money will be deposited in the account of the housewives. This scheme will be implemented for both urban and rural poor. Congress governments reduced India's poverty from 70% during independence to 22%. We will work for removing the 22% remaining poverty in India." Reacting to BJP's decision on Murli Manohar Joshi, NC Chief Omar Abdullah tweeted: "Looking at how the BJP has treated senior leaders like Advani Sb, Joshi Sb & Sinha Sb I can safely say so called family run parties treat their senior leaders with far more respect." Looking at how the BJP has treated senior leaders like Advani Sb, Joshi Sb & Sinha Sb I can safely say so called family run parties treat their senior leaders with far more respect. Lok Sabha elections 2019 HIGHLIGHTS: In a major change, the Congress on Monday appointed former union minister Milind Deora as Mumbai Regional Congress Committee chief, replacing Sanjay Nirupam. In another development, Former Union telecom minister Sukh Ram and his grandson Aashray Sharma, rejoined the party Monday. Also Read | Few details, Rs 3.6 lakh crore-question: Will Rahul Gandhi’s minimum income scheme be a top-up or subsidy tweak? 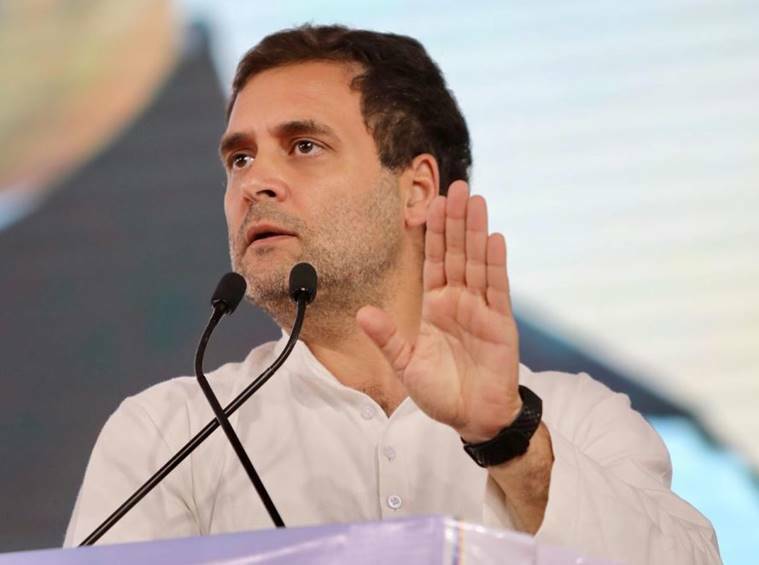 Congress president Rahul Gandhi Monday said nearly 25 crore poor people in the country will get financial assistance of Rs 72,000 per annum if the party is voted to power. His statement, however, was slammed by BJP in a press conference later as Union Finance Minister Arun Jaitley calling it a “bluff announcement”. Jaitley said the Congress has a “history of swindling people in name of poverty alleviation” while the Modi-led government has “already given the poor what Congress promises”. “Today, the Congress president has announced that those whose income is below Rs 12,000 per month would be given a subsidy to ‘attain’ that income subject to Rs 6,000 per month. This announcement is an admission of the fact that neither Indiraji nor her son and certainly not the UPA government controlled by her descendants was able to remove poverty,” Jaitley wrote in a blog posted Monday afternoon. Monday was the last day of filing nominations for the first phase of Lok Sabha elections. In the first phase, elections will be held for all 25 Lok Sabha seats in Andhra Pradesh, and 17 in Telangana. Other constituencies going to polls in the first phase are Uttar Pradesh (8); Maharashtra (7), Uttarakhand (5), Assam (5), Bihar (4), Odisha (4); Jammu and Kashmir (2), Arunachal Pradesh (2), Meghalaya (2), West Bengal (2), and Chhattisgarh (1), Manipur (1), Mizoram (1), Nagaland (1), Tripura (1), Sikkim (1), Andaman and Nicobar Islands (1) and Lakshadweep (1).